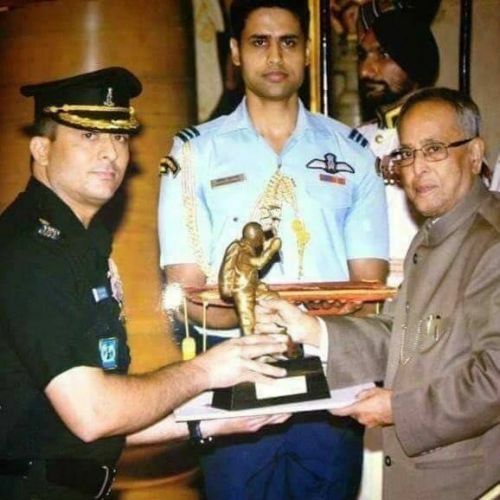 Col. Ranveer Singh Jamwal is an extremely reputed Mountaineer of India and a talented Army officer. He is from the village Badhori in District Samba of Jammu and Kashmir and a known personality in the state as well as India. 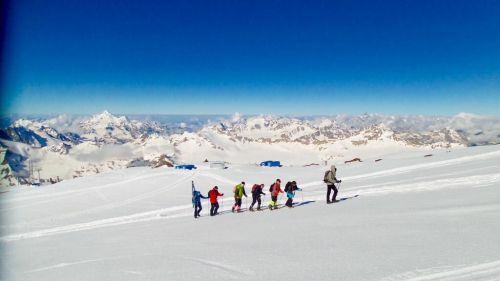 His aim now is to scale the seven summits (climb the highest peaks in all the 7 continents). 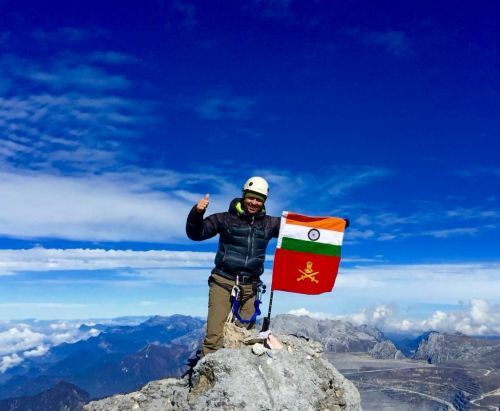 One of the most successful mountaineers in the country, Ranveer has already scaled 6 of these summits and the only one remaining in his way is Mt. Vinson Massif in Antarctica, which is also one of the coldest, driest and windiest continent of all. 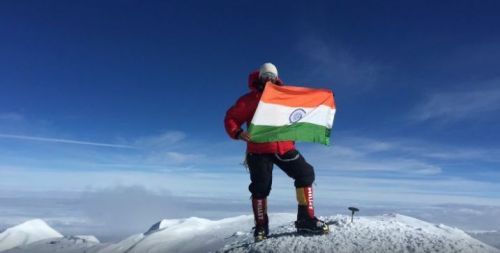 In this exclusive interaction with Sportskeeda, Col. Ranveer Singh shares his journey as a mountaineer, tells us more about the sport and what he wishes for the youth in the country. "I have been on 30 mountaineering expeditions in all in the 6 continents -- Africa, Asia, Australia, Europe, South America, and North America. I started off with basic and advanced mountaineering courses. With time, I climbed a peak of 6000m, and then 7000m. Gradually, I increased the height of the peaks. After starting off in 2007, and post 10 expeditions I finally got a chance to go to the Mount Everest in 2012. I was selected as a deputy leader and team leader of the Indian Army for the climb. This was a moment of great pride for me." A mountaineer faces some of the harshest conditions during expeditions and it is of paramount importance to gain the requisite knowledge before diving into something in which even a marginal error can be a matter of life and death. "It is very normal to face difficulties in any expedition which you go to. The mountains teach you to bow and walk towards the peak. We have to be attentive at all times and our eyes should always be on our feet as it is a matter of life and death." "I joined the the Army as a soldier in 1994.My grandfather, my father, my uncle -- everyone was a part of the Indian Army so I could not even imagine doing anything else and it was a natural decision for me. I am proud of being part of the Indian Army. We are taught in the Army that 'The honour of your country comes first, always, and everytime.' I swell up with pride whenever I hear or think about this line. I did not have a clue to what mountaineering is all about then. The Army made me from a soldier to officer to a Mountaineer. While soldiering taught me dedication, mountaineering taught me humility. Soldiering gave me an Identity, mountaineering gave me a cause. A combination of these two aspects in my life has helped me achieve formidable tasks and endeavors. I was lucky to share the stage with the likes of Virat Kohli, Joshna Chinappa, and many other prominent sports personalities when I received the Tenzing Norgay National award." He is also a recipient of IMF gold medal, which is only given to a maximum of 1 Indian every year and sometimes not even given if the contributions of the applicants are not found worthy enough. Bachendri Pal received this honour as she became one of the first woman mountaineer to climb the Everest in 1984. Tenzing Norgay is the other known personality to have received this award. Ranveer is only the 21st person in the 50-year-old history of the award to receive the honour. The Vishisht Seva Medal is another honour to his name. Ranveer had to lose his ring finger during one of the expeditions due to a frostbite yet he became even more determined to pursue his passion for mountaineering. Ranveer gets a little serious and shares a horrifying incident which happened during the Indian Army's expedition of the Mt. Everest in 2015 where he had again been selected as the team leader for his consistent efforts. "In 2015, an earthquake struck and took everyone by surprise. We were at the Khumbu Glacier and immediately after the earthquake we started moving towards the base camp. Everything had been going according to plan but suddenly, in a moment, there was widespread destruction all around. The base camp was a sight of horror. I decided to take charge by rescuing the injured and needful and helping those in need. I did whatever I could to save as many people by putting my skills and knowledge to use. People advised us to vacate the camp and start travelling to a safer region but as there were constant aftershocks of the earthquake. However, we decided to stay there as we felt it was our responsibility to help those in need. It was a terrifying situation to be honest and it was our good fortune that we survived that day. There were 60 injured people who were rescued. When we reached the Kathmandu Airport 15 days after the incident, people welcomed us with loud cheers and claps." There are multiple challenges each mountaineer faces. Sometimes one falls into the crevices, sometimes there are avalanches, sometimes the weather gets extreme and there are cold wind storms. Col. Ranveer has shown the way and gone through them with an indomitable spirit and is an inspiration for many. "I would just want to tell all the aspiring mountaineers to start with the basic courses and climb the lower peaks. Start identifying your strenghts and understanding your body. See how your body reacts after going to such a high altitude. If you get the necessary technical ability then there is no one that will be able to stop you from climbing even higher peaks. Koi bhi Lakshya manushya ke sahas se bada nahi, haara wahi jo lada nahi (No goal is unachievable if a man has the courage to pursue it, only those who don't try end up losing). It is good to dream. One can do that in the comfort of your bed. However, once you have that dream then it should become your aim and purpose in life. You should take small steps in order to realise it." Scaled Mt. .... of Antarctica on ??? Has led 3 Everest expeditions. More than 40 personnel have climbed Mt. Everest under his leadership. The leader of the first-ever summit of 6015 mt peak in Siachen Glacier. The first Indian to ski down from Elbrus (Russia). Besides all his achievements, Ranveer promotes clean adventure and has contributed invaluably about the widespread waste problem prevalent in the mountains. Even after doing 30 expeditions across 6 continents, Ranveer signed off by saying that he is still learning and there is a long way to go. An award-winning documentary was also made on this rescue operation of 2015. "The love, respect, and blessings which I recieve from the people from the Army, my state Jammu and Kashmir, and the entire country is my biggest gift. I have been working hard towards achieving this dream so I hope that it comes true."